This package is ideal for wedding parties requiring up to 4 hours of service. It may consist of our professional driving staff picking up the bride and bridesmaids and transporting them to the church. Once the ceremony is finished, the chauffeur will bring the newlyweds and wedding party to the photo session. Upon completion of the photo's, the next stop will be the reception. Comes with complimentary bottle of champagne and ice cold water. This package allows you to have up to 5 hours of service. It has all the great benefits of the silver package plus an extra hour of service. This works great if you would like to add in a late night pick up for the bride and groom. We will gladly drop them off at the airport, hotel, or destination of choice. This package also comes with a complimentary bottle of champagne and ice cold water. This is the ultimate wedding day package. It starts with one of our professional driving staff picking up the bride and her bridesmaids and driving them to the hair and makeup salon. Yes, nothing like a stop at Starbucks for coffee or tea if requested! Upon completion of hair and makeup, we transport the ladies back to their desired location for final touch ups. When the time comes and the ladies are ready, we will proceed to the church. Upon completion of the ceremony, the chauffeur will take the wedding party to the photo session. Soon as photos are complete, we venture on to the reception. The chauffeur will return for the late night pick up and bring the newlyweds to the airport, hotel, or drop off of choice. Up to 8 hours are included in this package - do as you choose with it. We want to make your day easy and relaxing. This package comes with 2 bottles of complimentary champagne and ice cold water. Wedding decorations, ribbons, bows, just married sign are available upon request. All wedding prices include HST and Gratuity so no surprises at the end of your special day. 20% deposit required upon agreement. It’s party time at East Coast Limos – and who better to help plan your night out than with Maritimers! Let us take care of the transportation, so you and your friends can party the night away and get home safely. We have different packages to suit your requirements and budget, starting from a simple pick-up at the end of the evening, to spending the entire evening in style and comfort, as we drive you from one hotspot to the next. We can even stop off for late night munchies if required! Do you and your partner need a night away from dirty diapers and messy kitchens? Let East Coast Limos take care of you for a change. Enjoy a scenic tour of our beautiful city and listening to your favourite music (no Wiggles allowed!). We will bring you in comfort and style to one of Ottawa/Gatineau’s fabulous restaurants, just tell us your food preference and we can recommend the perfect spot to suit both your tastes and budget. If you still have energy left, let us take you to one of Ottawa’s hotspots! If not, we can take a leisurely route back, and we can even bring the baby-sitter home safely! Are you looking for something unique to do with that special someone in your life? Why not start the evening off with a limousine ride! Enjoy a scenic tour of our beautiful city, while getting close, and listening to your favourite music. Whether it is a candlelight dinner for two at one of Ottawa/Gatineau’s fine dining establishments, a ride to and from a hot air balloon, a trip to Le Nordik spa, or a night in a sumptuous hotel, we can take you there in style! Let East Coast Limos plan your special birthday event. We have packages available for all age groups, whether it’s a romantic evening for 2, a night out with friends, or a fun filled day complete with loot bags available upon request (for children 12 years or under)! We are happy to help in whatever way suits your plans and budget! Let East Coast Limos take care of your transportation requirements to the links for you and your golf group. Our professional driver will pick up you and your friends, and bring you to your course of choice. After your golf day is complete, sit back, relax and enjoy the scenic route home, with complimentary beverages and ice cold water. Do you want to stop off at a pub or restaurant for a cold beverage on the way home? No problem – our packages are tailored to suit your requirements! And so on…. ask us about our upcoming NHL packages, which begin during preseason. We also offer special prices for trips to and from Bluesfest, Lac-Leamy Sound of Lights, Concerts, Winterlude, and other Ottawa/Gatineau events. 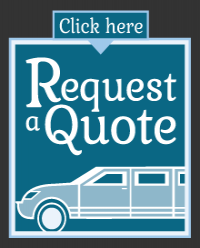 Please consult our East Coast Limos staff to enquire about package options today! Contact us.